the highest quality systems and services to our global aviation industry. Deliver quality and value to our clients, and continuously improve. We believe a properly designed and implemented Quality and Safety Management System will save lives, provide a substantial return on investment, and produce the continuous improvement we’re looking for. We believe in open, honest and clear communications, transparent pricing, and no surprises. OmniSMS subscription customers enjoy the benefits of our continuous improvement efforts by receiving web software upgrades, revisions to written guidance, and SMS consulting services at no extra charge. Come join us in our quest for continuous improvement. Omni Air Group was formed in 1997 in the aftermath of two fatal accidents. After 15 years of accident-free operations, Salair Air Cargo lost a DC-3 crew to a fatal accident in 1994. Approximately 1 year later in June of 1995, another Salair crew was lost in a fatal Convair 440 crash in the Dominican Republic. Words cannot express the profound loss of these good people, and the grief suffered by their families and co-workers. As Salair closed down its operations in the Caribbean and crews were relocating aircraft back to Spokane Washington, a third aircraft was lost in January of 1996; but this time the crew survived. Paul Salerno was the pilot in command. The business was sold to Air Alaska in 1998 and Bruce and Paul worked in certification, compliance and aviation business turnarounds. While attending ATOS and System Safety courses at the FAA Academy in Oklahoma City, Paul discovered safety management systems. Having experienced the loss of air crewmembers firsthand, Paul quickly realized that SMS can save lives by reducing errors and improving human performance through system design; his passion for SMS was born. Paul and Bruce Salerno then shifted their focus from compliance-based consulting to development of the company’s SMS products and services, in response to new SMS requirements under ICAO rules. They recognized the need to integrate quality management principles and modern information technology within the structure of SMS. A formal QSMS Program was developed, and ATOS safety attributes were incorporated to achieve the highest level of safety. Rights to FedEx’s award-winning Incident Reporter (IR) database were acquired and the system further developed to meet ICAO, Transport Canada and FAA functional requirements for risk management, documentation and controls. This evolved into today’s OmniSMS Aviation Management System. Now in its 12th year of SMS study, Omni Air Group delivers the highest quality SMS products and services, and is a leader in professional safety and quality management system development. Omni Air Group’s directors and key managers possess decades of experience as owners and operators of various aviation and information technology enterprises. Our aviation expertise comes from the “real world” side of industry, and includes experience with certification, civil penalties, certificate actions, businesses in distress, and fatal accidents. We are now committed to sharing our lessons learned, in the hopes that we can help someone avoid one accident; save just one life; and improve the safety and quality of our clients’ aviation operations for the benefit of their families, co-workers, and the continuation of their aviation enterprises. Come join us on our worthy quest for continuous improvement! 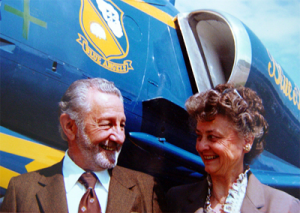 This website is dedicated to the memories of Joseph M. Salerno – loving husband and father, A&E mechanic, aeronautical engineer, professional flight engineer, pilot, and ramp rat; and Edith E. Salerno – loving wife and mother, pilot, stewardess, organizer, builder, historian, and recurring winner of the sandy hamburger award. Mom and Dad, you are our Heroes.